Few brands attain household name recognition. Belgotex is one that has managed to do so through an unrelenting commitment to innovation and development. Originating in Belgium, the company set up its local business in Pietermaritzburg when it acquired Natal Nylon Industries in 1983. In the more than 30 years since its birth, the company has forged a pioneering path that has established it as one of the country’s pre-eminent leaders in the soft flooring industry. The group today comprises seven companies in four continents offering as many as 48 different ranges of in and outdoor flooring products. These products are market leaders in home, commercial, sporting and industrial applications. Achieving this scale and breadth of influence was not achieved overnight, and the journey has not been without its challenges. But thanks to industry support through the CTCP, Belgotex has managed to stay one step ahead of its competitors as a recipient of funding under the Production Incentive Programme (PIP). Company financial director, Steve Truter, is full of praise for the assistance given to the industry. One of the pressures the company has experienced in the residential market is falling demand as carpeting has lost out to newer materials and finishes. The manufacturer has therefore had to adapt its offerings to these changes in tastes, while investing in new equipment able to meet the continuing, but specific demand for carpeting in the commercial sector. “Today, we can make just about anything that the international guys can do. The IDC programmes have helped steady a deteriorating market in South Africa, but it also opens up export opportunities that we didn’t have,” Truter says. 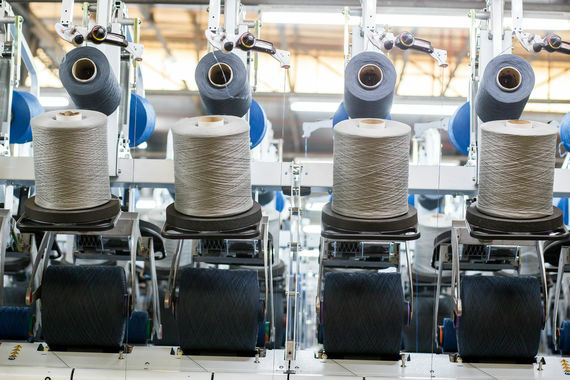 The new-found confidence in the manufacturing capabilities has Belgotex eyeing the ambitious target of more than doubling its exports from the current 20% of sales in the next five years. He adds that the group’s international operations allow it to tap into global trends, while also sharing its local experiences in strong markets such as Europe, Australia, and New Zealand. This international outlook is crucial for the company’s future sustainability, which translates directly into its ability to retain, if not grow, its employment numbers. For now, Truter says, the improvements have resulted in greater financial security for staff, who participate in a profit incentive. He adds that new machinery and automation have never threatened jobs and that changes in the industry as a result of slowing sales has seen it buying up failing floor product wholesalers. By doing so it has managed to stabilise the wholesale and distribution chain, and secure jobs further up the supply chain. This view on sustainability and responsibility towards employees is one that Truter holds dear. And it’s one that the company would have had greater difficulty to meet had it not been for the PIP funding that allowed it to continue to innovate and grow. This innovation has resulted in numerous industry accolades, including the 360 Degrees Excellence in Flooring award for being the best all-round flooring company in South Africa. Not surprisingly, founder and Chairman Stephan Colle received the Individual Lifetime Contribution award, while the Belgotex Academy has won the Contribution to Skills Development Award for its ongoing investment into training and development.